What would you do, if I told you that there is a product out there that you can use for basically any condition any part of your body has, be it your body, hair, face, hands, and feet? Sounds too good to be true? 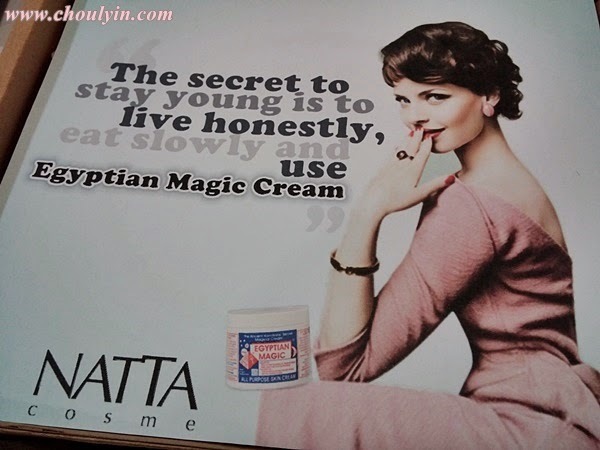 Well, you better start believing it, because there is such a product, and that's the Egyptian Magic All Purpose Skin Cream :D I've heard a lot about this product before, but I've never had the opportunity to try it out, but now thanks to Natta Cosme, I have the opportunity to try it,and what do I think? Read on to find out! Egyptian Magic is an all-natural skin cream made from six of nature's most powerful moisturising, ALL NATURAL, and healing ingredients consisting of Olive Oil ( Olea Europaea oil), Beeswax, Honey, Pollen, Royal Jelly and Propolis Extract. For more than 20 years these ingredients have been blended using a unique, proprietary process based on a formula that was created thousands of years ago in the land of the Pharaohs. The result is a luxurious cream with moisturising and nourishing properties that are legendary among celebrities, the fashion industry, even doctors and hospitals. I have quite a bad situation with cracked heels, mostly cos I'm in aircon room all day, and on days when I have events, I'm on my feet practically the whole day with high heels on, so all this has taken a toll on my feet and heels. Every day after my bath, I will apply a small amount on to my heels after warming it on between my palms and I massage them on until they fully absorb into my heels. After using it for only two days, I noticed that my heels are considerably softer, and not as cracked. After one week, they are good as new. 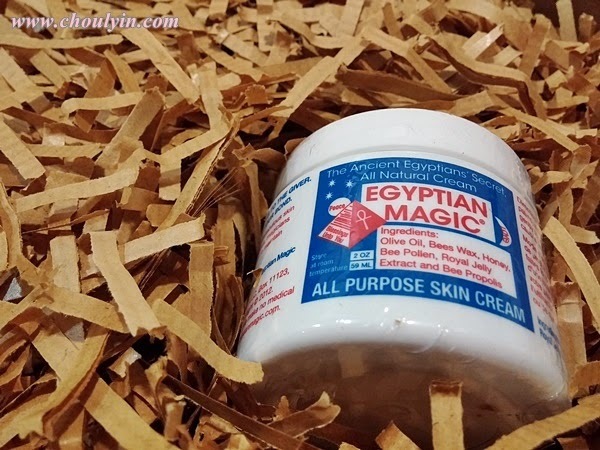 The Egyptian Magic Cream can be used for a multitude of skin types. For dry, normal, combination, or oily skin. I applied this day and night, and I noticed that my skin is more moisturised, and softer to the touch. On days when I have to meet clients, I will need to put on make up, and I use the EM Cream as a base. Bear in mind that this is a method used by Hollywood make up artist Gucci Westman. I find that my make up lasts longer throughout the day, and after I remove my make up at the end of the day, my skin doesn't feel as dry and taut. This cream actually provides me protection from the harshness of my make up products, on top of keeping my face moisturised through the day. 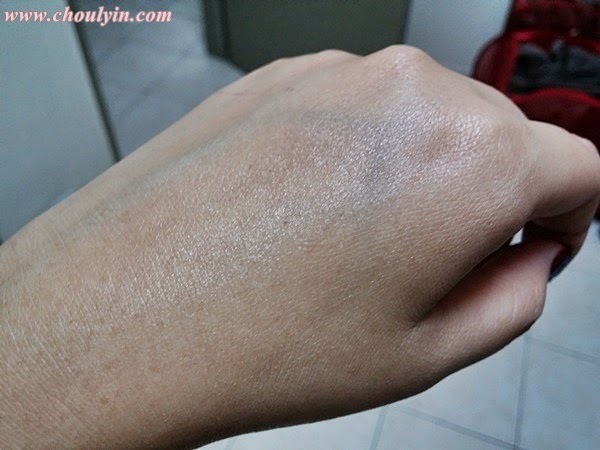 I find that it is perfect for use on my skin even though my skin is a combination of normal and oily skin. This is one that I will need to show you to believe. If you've met me and if you've been observant enough, you will notice that I wear a silver ring on my right hand, middle finger. This ring has much meaning to me, and I've been wearing it since Form 5. 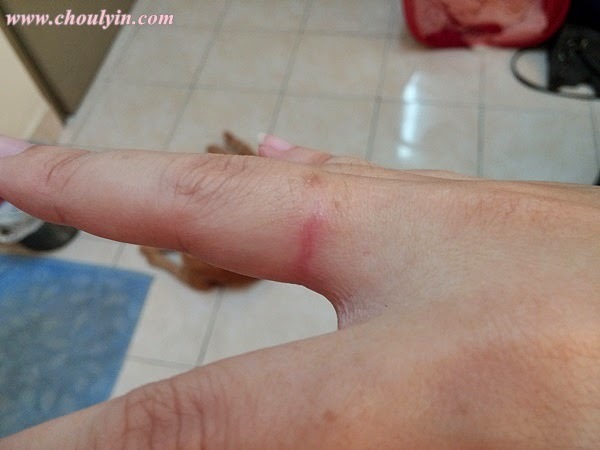 But recently, my finger has been feeling irritated, and the skin around it has turned reddish and is peeling. After using the Egyptian Magic Cream for one week, my skin has improved dramatically. Ta daa!!! see how the redness has decreased? Have I converted you to a believer? 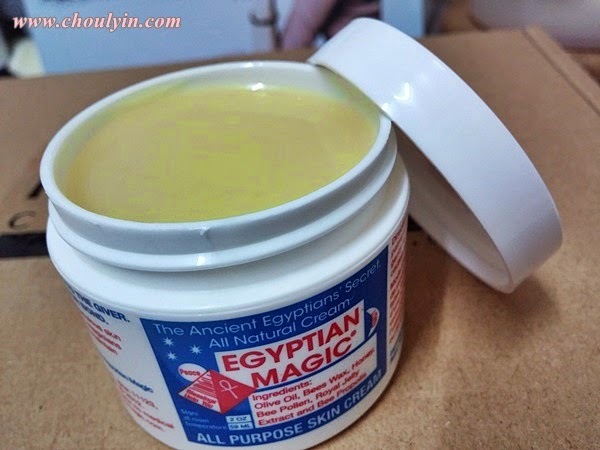 If you want to buy this Egyptian Magic Cream now, here are some basic things you will need to know. The EM Cream comes in two sizes, 2oz (59ml) and 4oz (118ml). The one that I'm using is the 59ml one, and after almost a month, I still have quite a lot left, so I would say one 59ml bottle can last you about three to four months, depending on what you use it for. If I've whet your appetite for this wonderful cream, here's your chance to get yourself 2 sachets of the EM Cream to try out first before you make a purchase. Simply fill up the form here with your details *click*, and fill in my name in the first question (If you are not sure, my name is Choulyin Tan :p), and three of my lucky readers will each receive two sachets (3ml) of the EM Cream. But hurry, cos the dateline to join this is only until 15th July :D Natta Cosme will announce all lucky winners on their Facebook on 1st August, so don't forget to follow their FB! 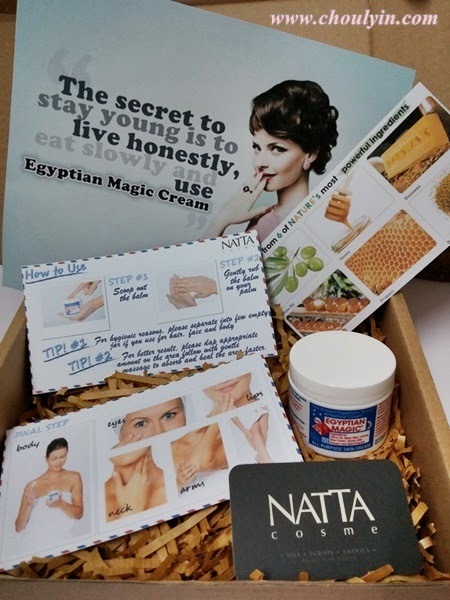 Natta Cosme is an online shopping platform for beauty products, so if you want to know more, or interact with them (they are really nice people), just head over to their FB page at https://www.facebook.com/NattaCosme and like them! i see the word FREE !!!!! Thank you for sharing.. I just filled in the form. hahahaha..